Picture this: Last night we were all snuggled up in front of the fire and watching Highlander. We had celebrated ten years, to the day, since our first date with nice food and a good bottle of red! I decide to check Twitter. 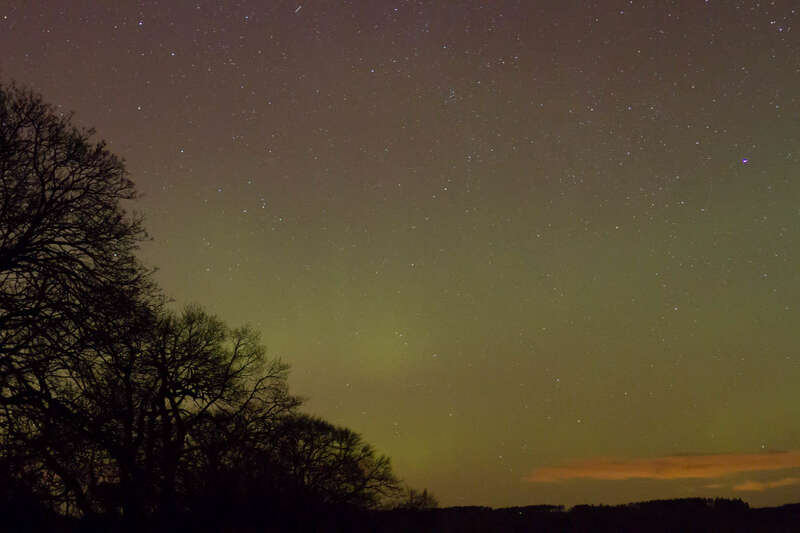 It seemed like EVERYONE knew about the Aurora Borealis over Scotland, except me! Grabbing a coat and a camera we set off out in to the pitch black, stood on the driveway and faced north. It took our eyes a few minutes to adjust and as they did more and more stars appeared and a faint light was showing over the trees. Something different to the rest of the night sky. Now, if I hadn’t have seen this geomagnetic phenomenon before I don’t think I would have stayed outside for too long because it just looked like ambient light. But if you looked at it long enough you could see it quite obviously moving. It’s not until you get the camera on it that the colours appear brighter. I hadn’t bothered to get the tripod out before checking that there actually was some activity. So I took a couple of images of the sky just to see the colour, and sure enough, there they were. I won’t get all technical but the shutter on the camera needs to be left open for longer so that it captures the night sky. It won’t matter how still you think you are standing when you have a long exposure – the photo’s won’t be making National Geographic if you don’t a tripod or something stable! So now I knew it was definitely the northern lights I am looking at I trot back off into the house to set up the camera on the tripod. We must have been outside for forty five minutes. The sky was so clear that even with the naked eye we could see so many stars. Deciding we had seen enough we went back inside. 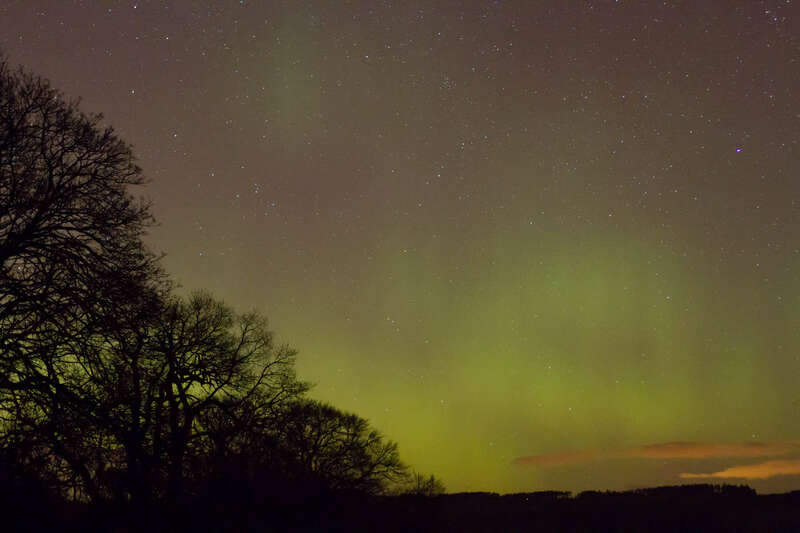 By now my Twitter feed is full of images from around Scotland and the beautiful colours in the night sky. I saw photos from as far up as Shetland and into England as far down as Telford, Shropshire! This morning I find one of my images used (with my permission and credited) on the BBC News website and amongst some brilliant shots from others who had braved the cold weather and dark! I am so jealous! 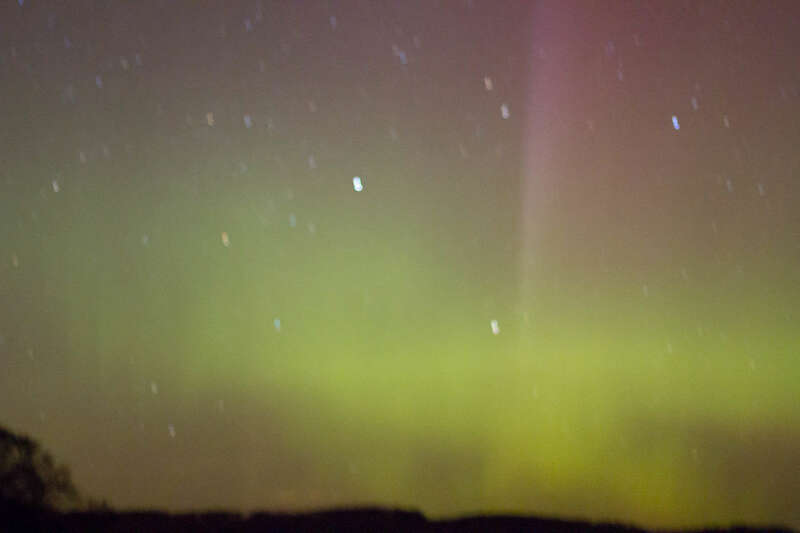 Those are incredible photos too – I’ve been to both Iceland and Lapland to spot the lights and not managed either time. Happy anniversary. We went to Iceland a couple of years ago too and were lucky enough to see them but it wasn’t a bright vivid display like imagined it would be. But at least I can say I had seen them. wow wow wow! 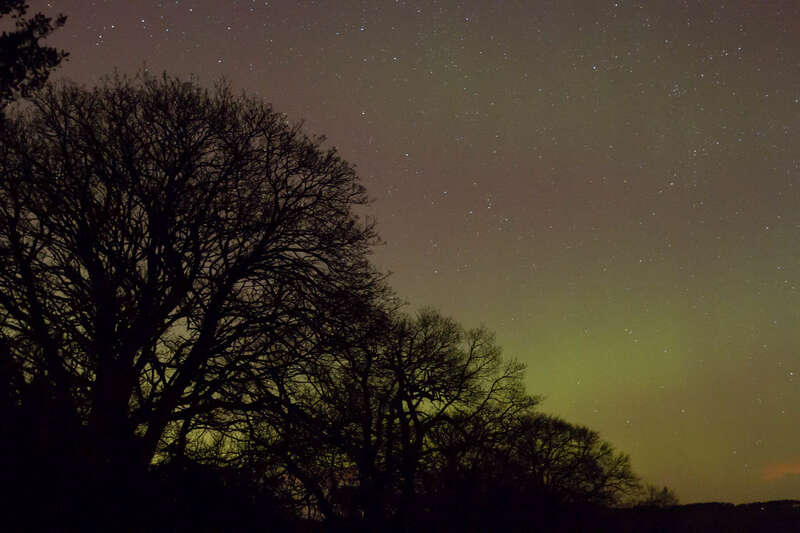 Have utter envy – seeing the northern lights is at the top of my bucket list, but I live right on the south coast so not much chance here – I will have to travel North and keep my fingers crossed! Wow amazing!! I would love to see the Northern Lights, lucky you!